This college-level course provides an opportunity for students to study rhetorical communication styles. Students who recognize when they are being manipulated by advertising or other types of persuasion, as well as students familiar with debate/mock trial/Model UN, will find their analytical instincts rewarded in AP Language. Much of the coursework entails a study of context, message, speaker, and audience. Students analyze issues and styles in media such as informative and satirical news articles, podcasts, social media posts, radio broadcasts, speeches, political/rhetorical debates, newsletters, film, documentaries, and landmark documents. Longer works or excerpts include the likes of Martin Luther King's "Letter from Birmingham Jail," Janisse Ray's Ecology of a Cracker Childhood, Malcolm Gladwell's Outliers, Annie Dillard's Pilgrim at Tinker Creek, George Orwell's 1984. The main text, 50 Essays, has many shorter works that students enjoy. Students participate in informal debate and learn efficient and accurate research methods and oral communication skills. 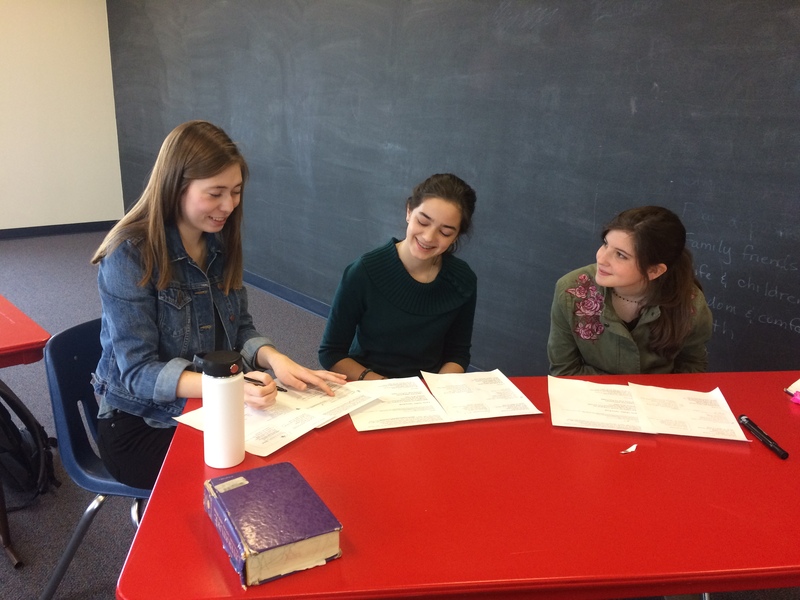 AP Lang students often practice ways to make their own writing more effective, trying out a broad base of literary techniques used by master writers (devices such as anastrophe, analogy, and the powerful short sentence!). AP test practice prepares students to score well on the national AP Language exam given in May, which can provide college credit. May national AP test fee and books not included in price of class. Books may be acquired used or at a special group rate that instructor will arrange. Would you like to meet up and talk about this class? Contact Margaret at shumanhw@gmail.com or text at 678-772-1644. We can meet for a walk or for coffee/tea at a location that works for us both! You can also visit any Shuman class with or without your student, any time. See current teaching schedule at MargaretShuman.com.